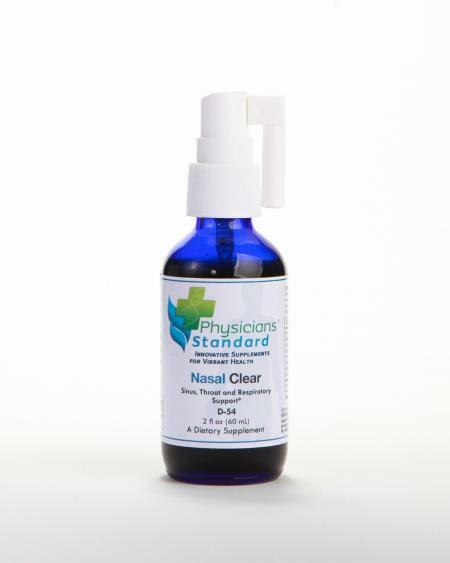 I have been using Nasal Clear by Physician Standard for a couple of years. I use it whenever I start to get the sniffles, if I get a mold hit, or if something feels stuffy in my nose. It is not a substitute for neti-pot or other total irrigation therapies that clear the upper passageways — it helps with maintaining clear nasal passages. I went on a trip and my bottle opened up and spilled leaving me without my go to nasal wash. I did find Super Good Stuff Nasal Wash – which has the exact same label as the Physician’s standard and seems to be made by the same company and is available online! It’s $25 a bottle and there is a discount for getting 3 bottles. Suffering from nasal and sinus congestion puts a damper on your workday and your social life. Postnasal drip can leave you feeling like your head is underwater, and if sinus congestion continues, it can lead to respiratory infections. When nasal and sinus congestion symptoms strike, irrigating or rinsing the nasal passage is the time-honored, doctor-recommended technique for fast relief. 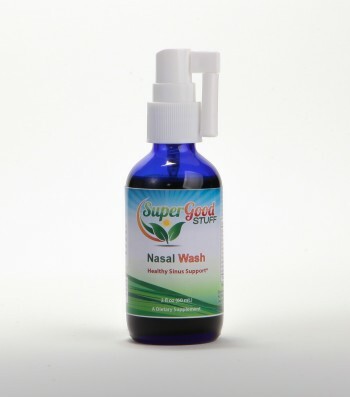 Take back your health (and your day) with Super Good Stuff’s Nasal Wash. 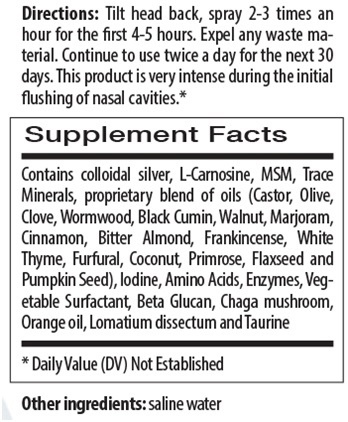 Contains colloidal silver, L-Carnosine, MSM, Trace Minerals, proprietary blend of oils (Castor, Olive, Clove, Wormwood, Black Cumin, Walnut, Marjoram, Cinnamon, Bitter Almond, Frankincense, White Thyme, Furfural, Coconut, Primrose, Flaxseed and Pumpkin Seed) Iodine, Amino Acids, Enzymes, Vegetable Surfactant, Beta Glucan, Chaga mushroom, Orange oil, Lomatium dissectum and Taurine. If you don’t have a doctor who works with Physician’s Standard and you are looking to get a bottle . Physician’s Standard is not an easy supplement to get if you don’t have a doctor that carries it. This entry was posted in Health and tagged allergies, Mold, Nasal Clear, stuffy nose, toxic mold on March 14, 2017 by Heather Plude. Here are some testimonies that helped me learn more about how the Hi Tech Air Reactors are helping people. If you are at all concerned about the air quality of your home or business, you owe it to yourself to check this out. Finally, this is my testimony… after using Hi Tech in my own home and my parent’s home. I am so happy and blessed to have found this technology and to be able to share it with others. This entry was posted in Air Quality, Health and tagged allergies, disease control, hi tech air solutions, indoor air quality, pet odor on December 3, 2014 by Heather Plude.